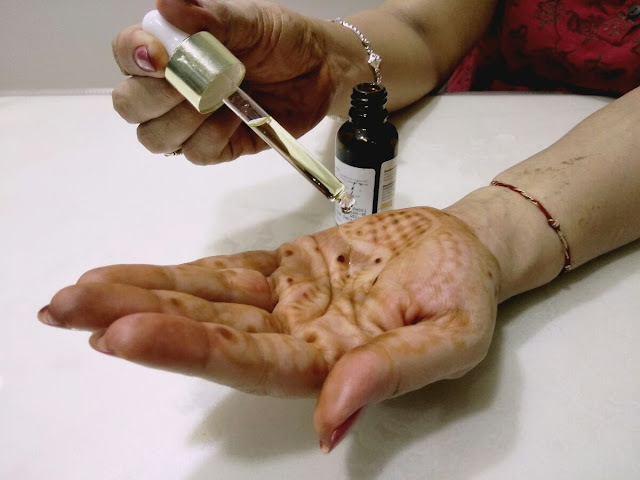 I am back with a product review post after a long time, but I am hoping to be more regular with beauty product reviews as I have been trying a lot of new products and loving them. 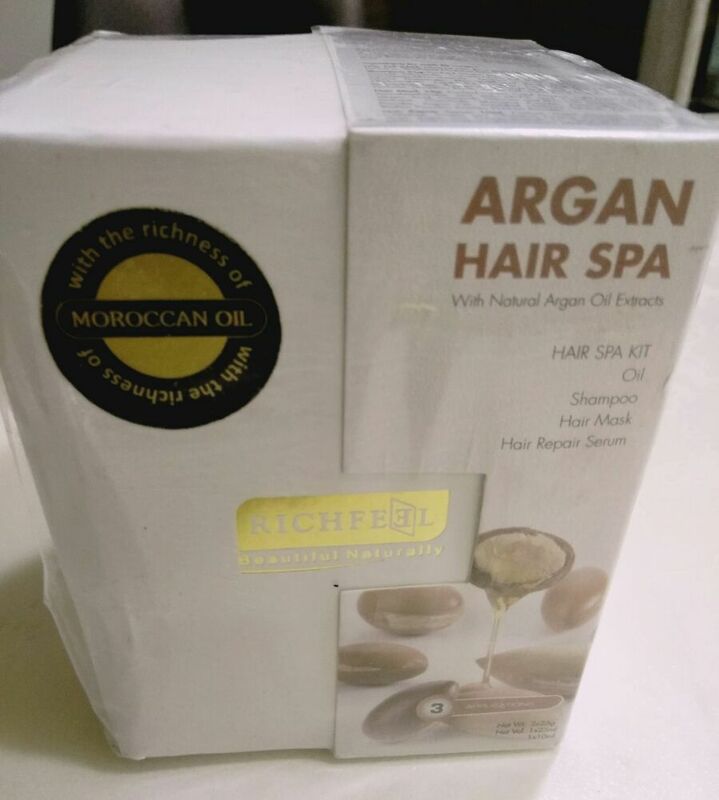 Today, I am going to share my review of RichFeel's Argan Hair Spa Kit. I started off with the oil. The packaging of the oil is really smart. 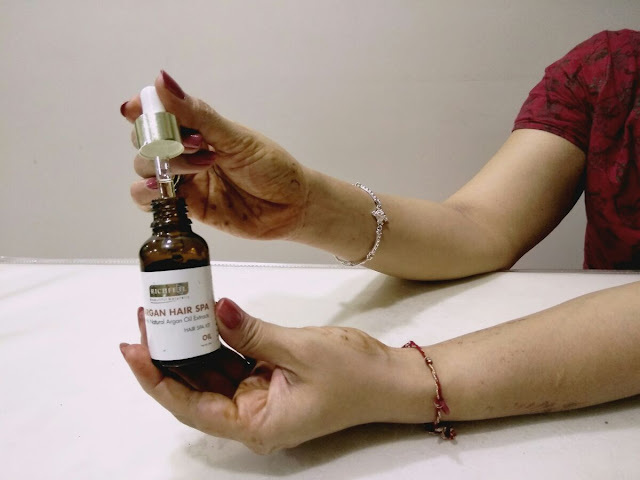 It comes in the form of a dropper which makes the application easy as you can partition your hair and apply oil evenly with the dropper. The oil felt light and was not too heavy. And it was lightly scented. After waiting for 15-20 minutes, I headed for a shower. The shampoo was creamy and lightly scented. It worked a good lather on my hair. After rinsing off the lather, it was now time for the hair mask. 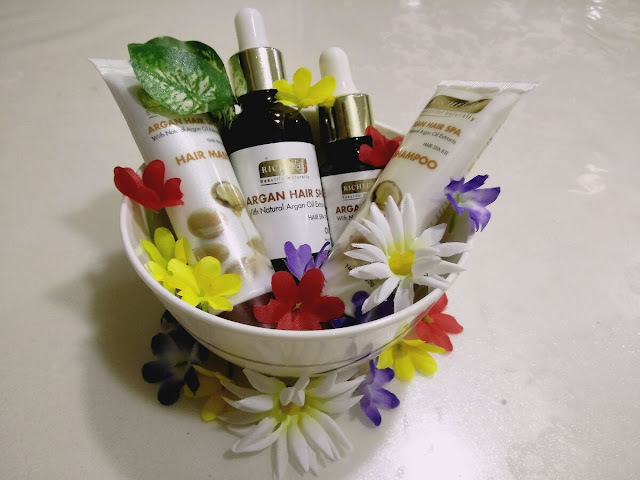 The hair mask is brown in colour and has a paste like consistency. I generously applied the mask on the eds of my hair and waited for another 20 minutes. After a thorough rinse, I was out of the shower. I then towel dried my hair and applied the hair repair serum from mid length to the ends of my hair and let my hair air dry. After a few hours it was time to assess the results. I ran my fingers through my hair and my hair was tangle free and felt smooth. It was lightly scented and felt voluminous. I kind of liked the way my hair looked that day. Overall I was happy with the results of the Argan Oil Hair Spa Kit. If I have to mention a flip side then it would be the quantity of the shampoo and hair mask. 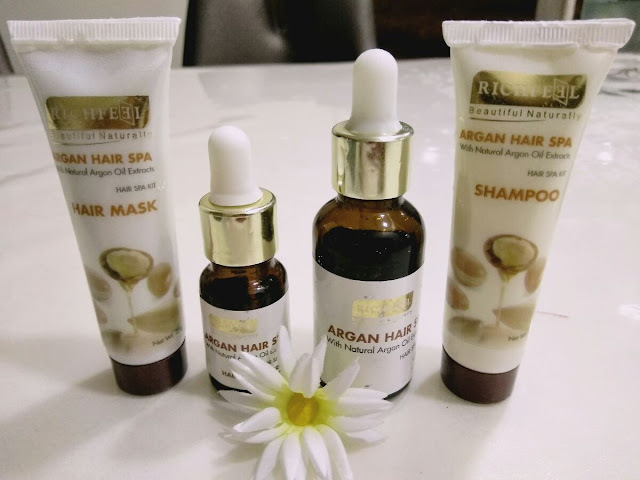 I have naurally thick and voluminous hair, and hence I utilized the entire contents of the shampoo and hair mask available in the kit that was meant to be for 3 uses. Verdict: Priced at Rs. 449 , the Rich feel Argan Hair Spa Kit is a good option if you are looking to pamper your hair at home. With its sturdy packaging I think it would make a perfect addition to my travel toiletries set. 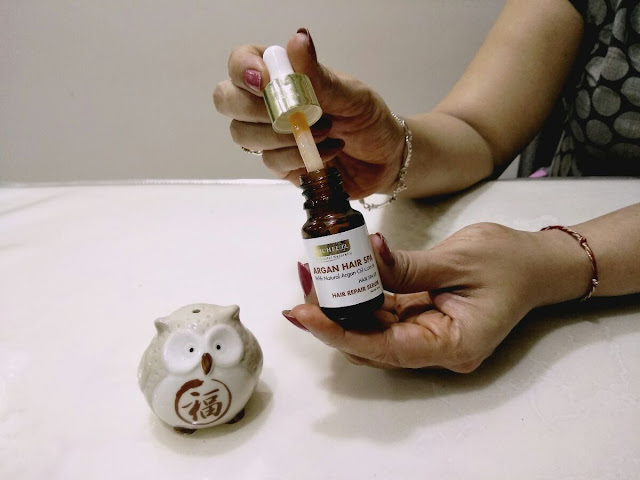 You can buy Richfeel Products here. 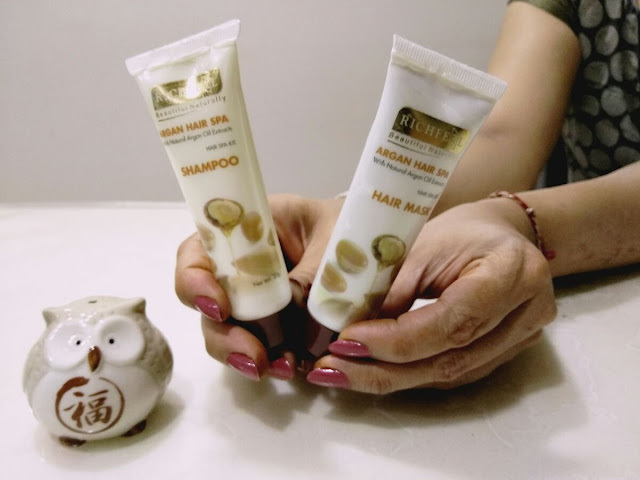 I really love hair spa products! Nice review. Would like to try this. Where is this available? Online shopping at our online store gives you a chance to unleash desirable products. Wow, So nice. I love to buy best designer sarees for a new look. This post is very nice. Thank you so much for sharing.